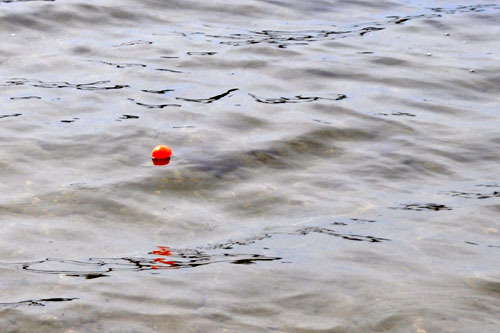 Only one of the 306 Easter Eggs we hid this weekend at the lake drifted off into the water. In spite of the 48 degree water temperature (72 degree air temp), the egg was soon rescued. This is the best shot of the weekend. 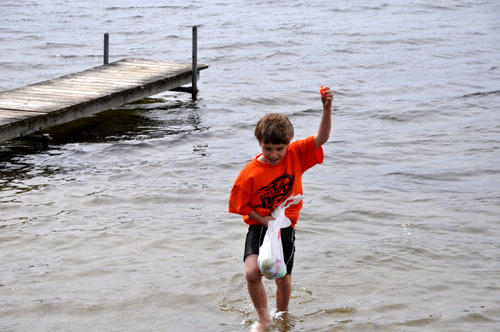 All of the eggs that showed up at the lake this weekend were combined, for a total of 306. 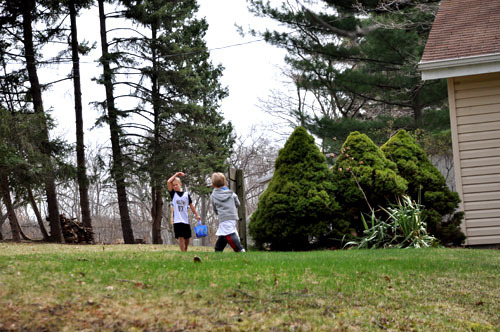 One mom was a former preschool teacher; and she brought tubs of eggs from those years. As moms, we struggled to find enough hiding places. We hid the eggs among the logs stacks, on top of house signs, and underneath the prickly branches of pine trees whose branches reach down to form tents on the ground. We started the hunt with my new purchase from my favorite store; a cow bell. Each child had a limit: 34. Excess. Excess. Excess. The ones that found more, shared with those who found less. The lack of snow this year, made the eggs much more difficult to find. 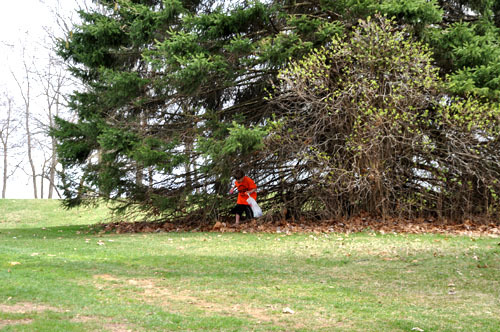 This experience pales in comparision to my own memories of Easter Egg hunts at the town park. In those hunts, I eyed the eggs I wanted and waited for the whistle to start the hunt. 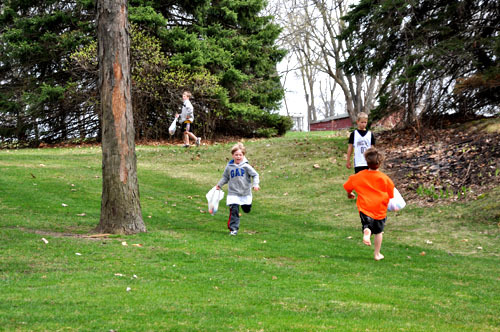 I took off, only to find that a hoard of children who ran faster than me, had already scratched my hand to pull the egg from me and to plop it distinctly in their own basket. And no one cried foul on those tricks that happened again, and again. I wonder, now, if those Egg Hunts were good for me; helped me build character. Except there was no lesson. No proof that the world was indeed a good place; no evidence of kindness. I can remember leaving that park with a hollowness in my chest and hoping that I would never have to come back and do this again. The only solace I had, as I walked from the park with my empty basket, was that I had new white shoes and a brand new purple Easter dress to wear to church the next morning. That, and the belief that if I ever grew up and had kids, I’d make sure they’d never have to go through what I just experienced on the Saturday morning before Easter. I would have considered that egg gone. Can’t believe he went in 42 degree water! Well, ok maybe I can. Kids are tough cookies. I also can’t believe that you’ve had to hunt eggs in the snow. Sure made the eggs look pretty but snow and Easter don’t go together. But at least it wasn’t in the snow! Great fun!